In the late 1930s, as a young boy in Gothenberg, Nebraska, writer Don Welch remembers visiting Old Pete, an injured whooping crane, on the Platte River. “I would go out and hold this piece of bread in front of this crane, and then I would run him about 50 yards down the dried river bed and then I’d run him 50 yards back again,” Welch said. Wounded by a hunter, the one-eyed crane was rehabbed by the Gothenburg Rod and Gun club. That was right around the time when the world’s population of whooping cranes dropped to its lowest recorded point—only about 16 birds left in the wild. Decades of hunting for the hat and fashion trades and widespread habitat loss had decimated the species. A self-described “bird nut,” Welch recalls being in awe. “He was taller than I was. Because, you know, I was a little shaver, 8 or 9 years old and I had this 4 and a half, almost 5-foot crane standing beside me. I must have thought I was Don in wonderland. Not Alice but Don,” Welch said with a laugh. “As far as North America goes, [whooping cranes] are a charismatic megafauna,” said Greg Wright, a wildlife biologist formerly with the Crane Trust. “We don’t have elephants and giraffes, say, but it is the biggest bird that we have on this continent. Because of that, people are able to quickly identify it and because of its plight, identify with it, as well,” Wright said. 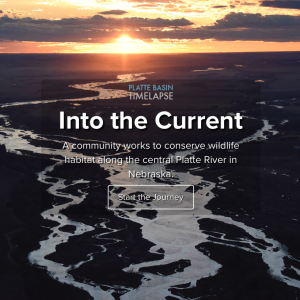 The Crane Trust, originally called the Platte River Whooping Crane Maintenance Trust, resulted from a lawsuit between Nebraska and public power companies over a proposed dam on a tributary of the North Platte River in Wyoming.  Nebraska worried the dam would mean less water for irrigators downstream. Environmentalists alarmed by increasing habitat loss advocated for the bird’s needs under the newly-established Endangered Species Act of 1973. The court settlement ordered the power company to create and fund the Crane Trust to preserve some of the critical habitat in the area. “And then the dam was allowed to go through,” Wright said. Since that time, various conservation groups in Nebraska and elsewhere have worked tirelessly to bring the whoopers back from near extinction. Eighty years ago, whooping cranes were nearly extinct. Through decades of conservation work, the birds have recovered substantially. On a late November morning near the town of Cairo in central Nebraska, Ryan Joe slowly drives a Jeep around dirt roads between open fields. He stops periodically to scribble notes on a clipboard in his lap. He’s conducting an investigation of sorts. “The first thing we do when we go to these sites is we usually just drive around the roads and get the land cover of the area, everything within this one-mile buffer. That kind of gives us an idea of the area the whooping cranes choose,” Joe said. He’s narrowing in on the spot where a whooping crane recently spent the night. And he’s noting all the land characteristics, like tree cover, crops, and telephone poles. 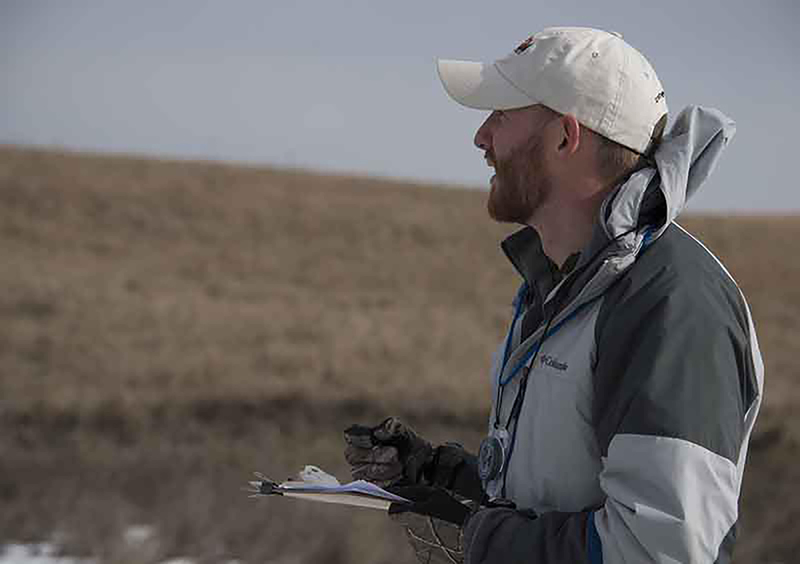 Joe worked on the whooping crane stopover study for the Crane Trust from 2013 to 2014. We pass through a gate and drive onto a farmer’s property. 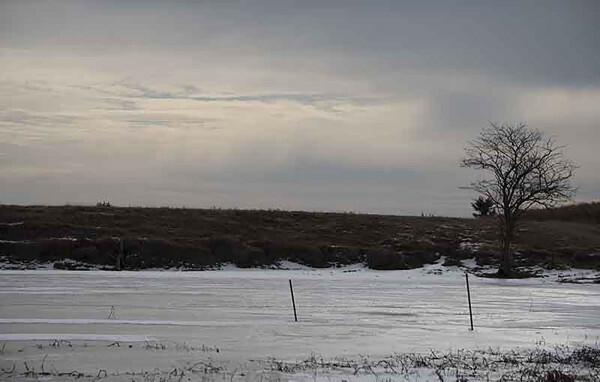 As we walk across frozen ground, Joe explains that knowing where the bird spent the night is easy—it’s one of about 70 whooping cranes conservation groups have tagged with GPS transmitters. But finding the right landowner to grant access to the spot itself can be challenging. “We usually try to get to the point as soon as possible, but this one there was some issues with contacting the landowner, so it took about a week and a half to get out here, “ Joe said. And with recent snow and cold weather, the site is now frozen. We arrive at a shallow wetland in the middle of a field, hidden from the road and with a wide view. Just the kind of thing whooping cranes like Joe said. “This place is pretty typical, usually the birds don’t roost in really disturbed areas, they’re usually kind of isolated, out in the middle of nowhere,” Joe said. Joe sets down his toolkit and conducts a series of habitat measurements: vegetation height, distance to nearest obstruction, and water depth. Recent freezing temperatures make that last one a challenge, but Joe does his best, chipping through the ice to reach slushy water and ground below. Twice a year, the world’s largest remaining wild population of endangered whooping cranes makes the 2,500-mile journey between breeding grounds in Canada’s Northwest Territories and wintering grounds on the Texas Gulf Coast. These birds—still one of the rarest in the world—use the Great Plains as their migratory corridor. 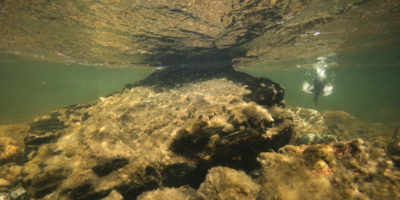 Biologist Greg Wright says Nebraska’s Platte River, along with the nearby Sandhills and Rainwater Basin regions and the Prairie Pothole region in the northern plains, contains some of their best remaining quality habitat outside national refuges. Consider this migration corridor as a ladder, Wright said, with wetlands and rivers as the rungs. “If you were to remove one of those rungs the bird can still complete its migration, but eventually you’re going to find a tipping point where too many wetlands are removed,” Wright said. This stopover study is a finer-scale piece of a larger telemetry study that’s been tracking whoopers since 2009. “It’s been the first detailed, in-depth science that’s been conducted on whooping cranes, so it’s going to have a lot of unique and valuable findings for managers,” Baasch said. Learning more about whooper’s migration patterns and nesting areas will help provide a baseline for future research as well. And it doesn’t just help whooping cranes, Wright said. “By helping out a species like that that requires as much space as it does, you’re able to protect all of the other species that you know, use those same sites. And we call that sort of an umbrella species. And those umbrella species really, indirectly act as a conservation measure for all the other species that occupy their same habitat,” Wright said. Today the wild population numbers around 300. Whooping crane conservationists say they’re on the way to success, but still not there yet.